Friday through Sunday at Century II Expo Hall - Shopping, Entertainment, Ideas & Fun! Listen in to Win on US 107.9! 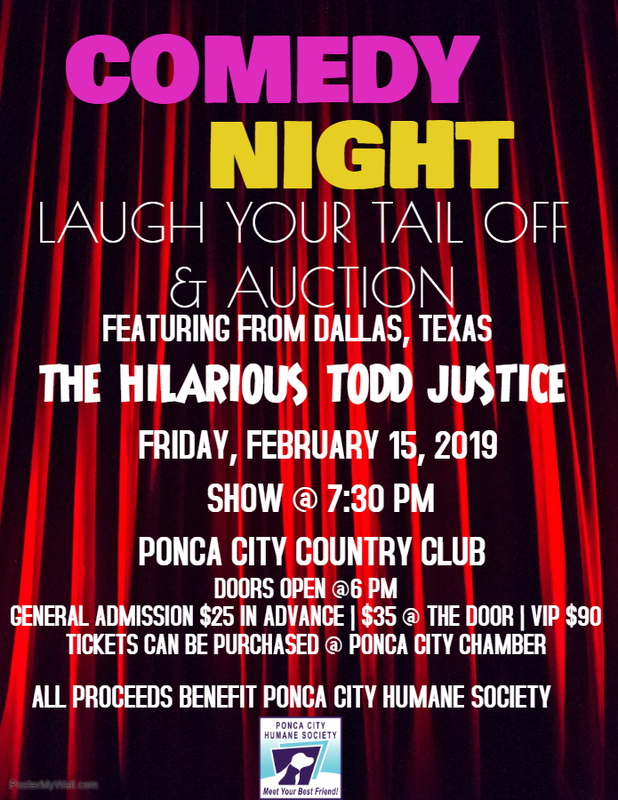 Join The Ponca City Humane Society Friday, February 15th at the Ponca City Country Club at 7:30. Featuring Todd Justice, all proceeds benefit the Ponca City Humane Society.